The name of this new Sassafras Lass range had Chris thinking of a song from the Simpsons that her daughter Annaliese loves. So she used it as her title and incorporated it into her journalling. 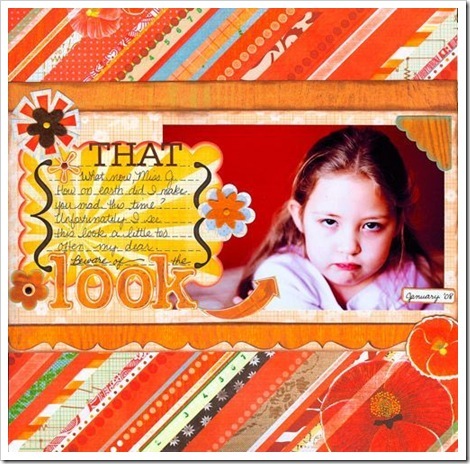 Chris said all the papers were so gorgeous, bright and colourful that she had to use a little bit of each on this layout creating a wonderful layered effect! 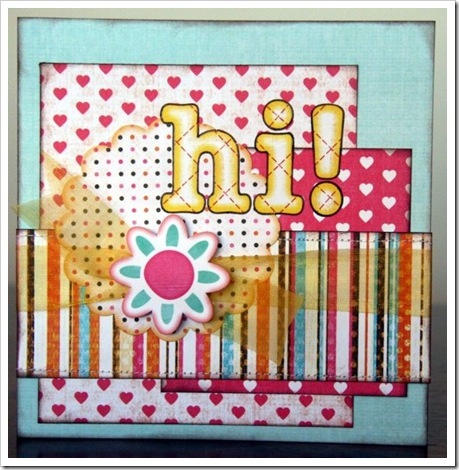 Again Chris couldn't resist using each of the papers in the Dearest range and created a layered look with some inking and machine stitching also. 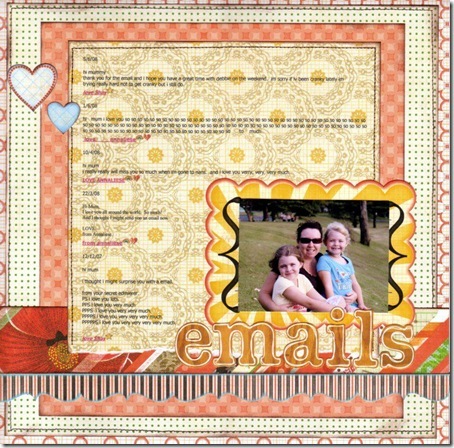 She also used a Journal tags sticker as a photo matt on this layout. Chris's daughters have recently started their own hotmail addresses and are always sending Chris little email surprises. Chris printed out some of the emails and used them as journalling on this page. 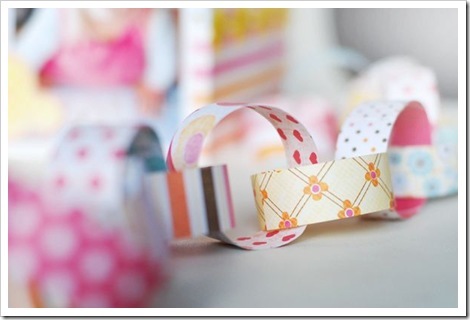 Sassafras Lass releases the most beautifully coloured, pretty papers that are versatile for a wide range of scrapbooking topics. 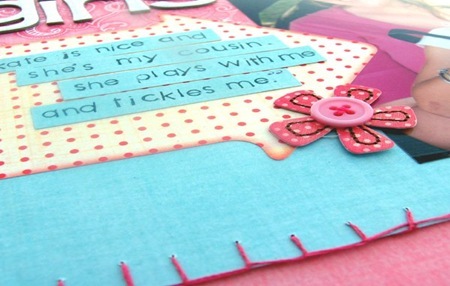 For this layout Mel has combined a few papers from both the Scrumptious and Blue Boutique range, added some blanket stitch and has then dressed up the layout a little with an 'In A Stitch' pink blossom. The blossoms are just delightful with their machine stitching and buttons - perfect for adding dimension and life to any page. 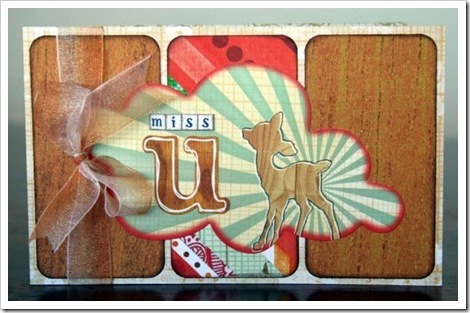 A couple of quick cards Chris has created from her left over Sassafras Lass papers. 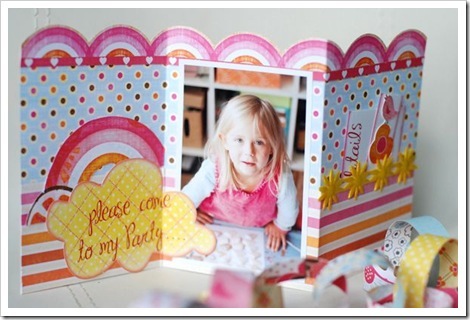 We think Chris must have the best stash of handmade cards ever! 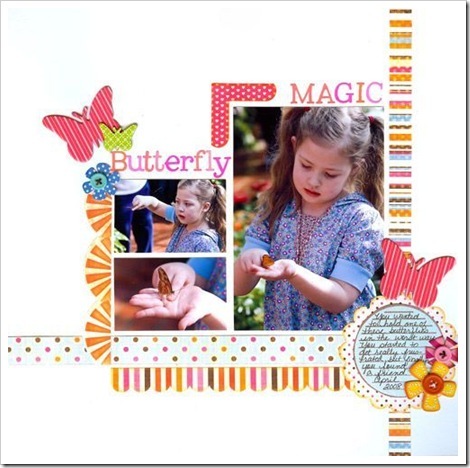 Natalie Jackson sent this layout in along with some others for our Whose Layout Is It Anyway competition. We loved it so much we asked if we could keep it as a highlight in our weekend inspiration post. 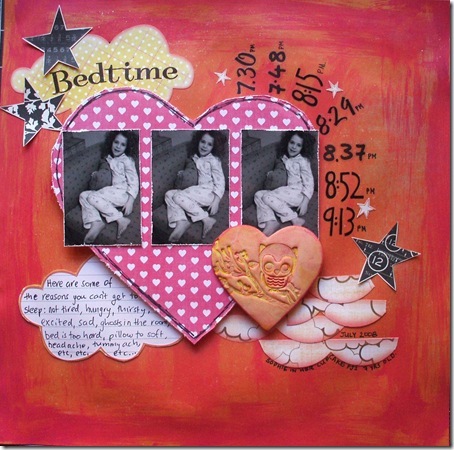 Here she not only uses snippets of of the Sunshine Lollipops papers on a stunning handpainted background, but she also shows that stamps aren't just for stamping - she has used the Sassafras Lass Oliver & Friends stamps to emboss paper a paper clay heart. We also love the recording of those bedtime excuses! 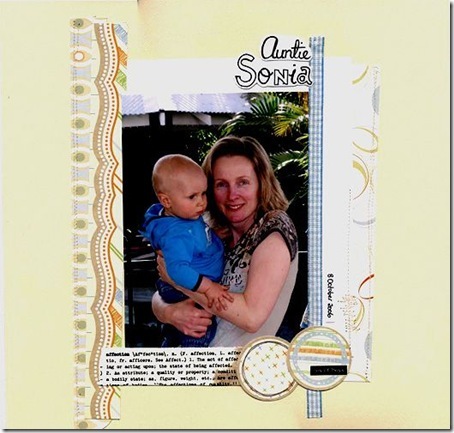 Thanks Natalie for letting us share your layout here. 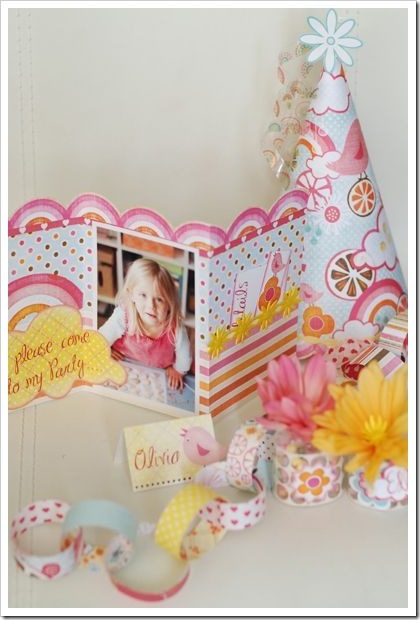 Kathie Link share this simple but pretty layout showcasing the Playtime range of papers. We could have sworn that was Kathie in the pic but apparently it's her sister! "The latest lines from Sassafras Lass make me happy. 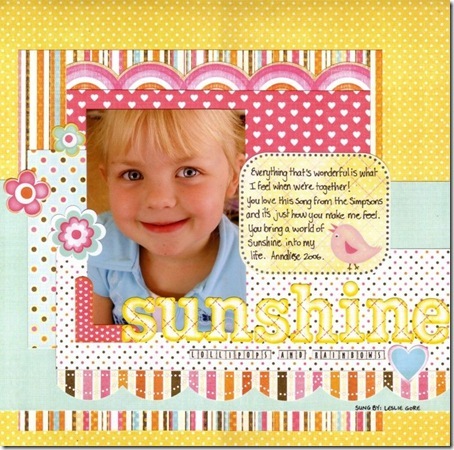 The fun colors, with the sweet designs are perfect for whimsical pages with flair. And those scalloped edges are ADDICTIVE. Sassafras Lass is one of my all-time favorite lines!" 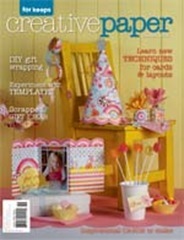 Finally, our Suz Doyle created the items for the cover of this month's For Keeps Creative Paper magazine using plenty of Sunshine Lollipops and Rainbows! 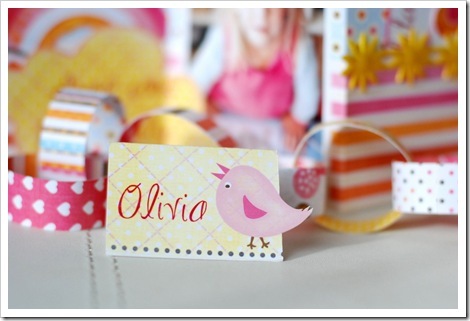 A birthday theme, Suz included a tri-fold invitation, party hat, party favours and more. Tinkering Ink glitter alpha rubons were the perfect match for the papers, and the ever beautiful Heidi Swapp florals made a pretty and unusual topper for lolly-bags. Here is some of what she did. 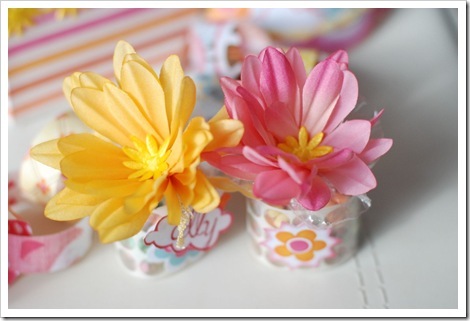 For Keeps Creative Paper contains all the instructions for recreating these items.